“What do you want to see on our trip around Europe?” I asked my friend. “Mountains, lakes, or beaches” came the reply. Because Europe is so compact, one of the best things about travelling around the continent is how much you can cover in a short space of time. With six days at our disposal, my friend and I devised a short round trip taking us from Slovakia through Austria, Slovenia and Hungary. On the way, we would visit some of Europe’s loveliest lakes. We had planned to visit Vienna on our first day, but as my friend was tired after a late flight the night before we decided to spend the day in Bratislava instead. Not being overly keen on Vienna, I was happy with this arrangement. It was a hot day, and our time would be far better spent at a lake. Zlaty Piesky is a small lake close to Bratislava airport, and a 30-minute tram ride from my apartment. 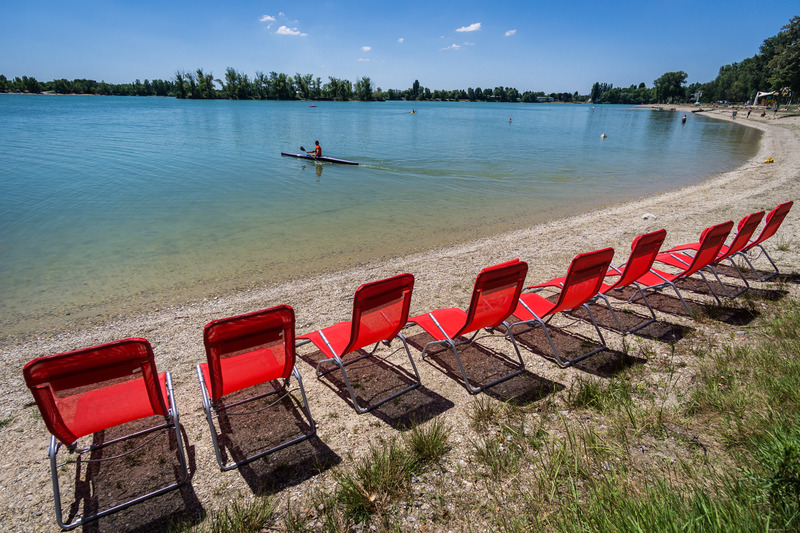 It is a great place to cool down during Slovakia’s long, hot summer days. If you pay €4, you can enter the lake which has restaurants, changing areas, toilets, as well as boating and camping facilities. There is even a small wakeboarding track if you like high-adrenaline water activities. Bratislava’s lakes have been one of the city’s biggest surprises for me since I moved there. Who knew that you could be swimming out to such a gorgeous little island only minutes from leaving the airport? Mondsee was an unscheduled stop on our first day. The drive from Bratislava to Salzburg was almost 5 hours long, so we broke it up with lunch in Melk and an afternoon swim in Mondsee. 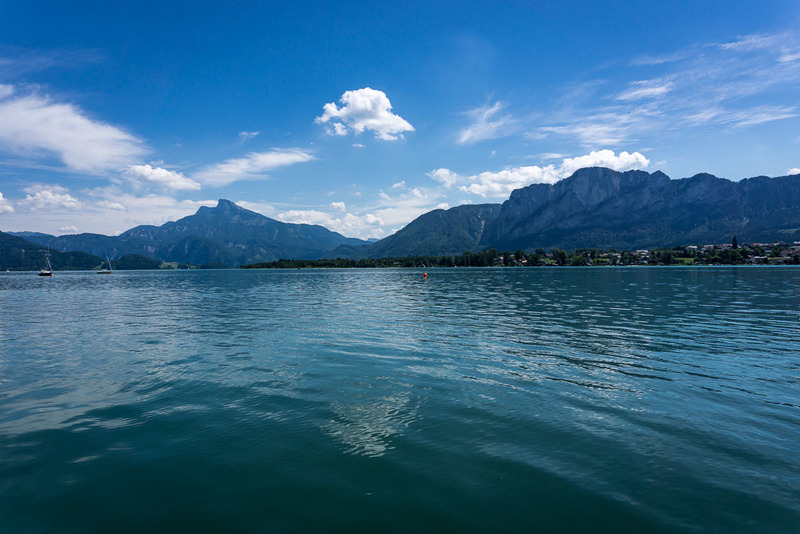 Surrounded by mountains, Mondsee was precisely the sort of place I had pictured when booking the trip. 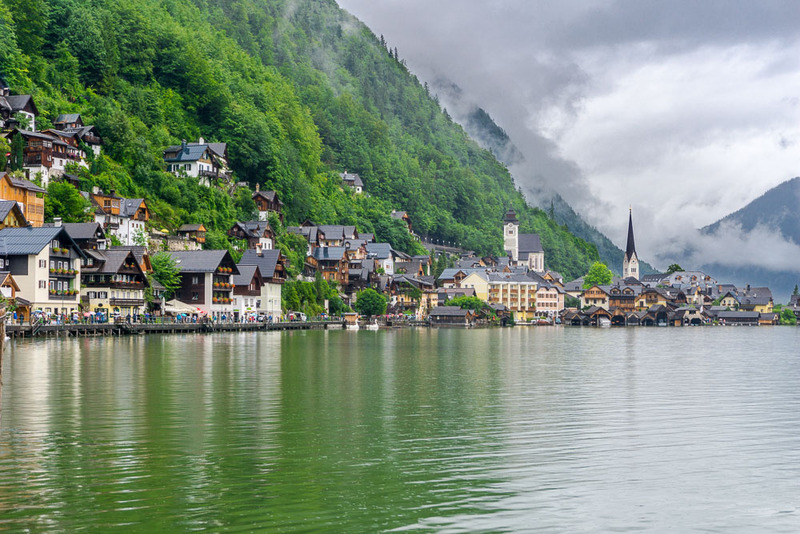 We were unlucky with the weather in Hallstatt: it poured with rain the whole day, and we ended up soaked through in Austria’s most picturesque town. However, the low-hanging clouds that clung to the alpine forests were really atmospheric and charming in a way that appealed to the more Romantic (in a literary sense) aspect of my personality. We managed to squeeze in a second lake on Day 3 as Wolfgangsee is very close to Bad Goisern, where we were staying. After a full day of rain, the clouds parted just long enough in the early evening to allow us an hour around another lake. I liked Wolfgangsee for its quiet nature. 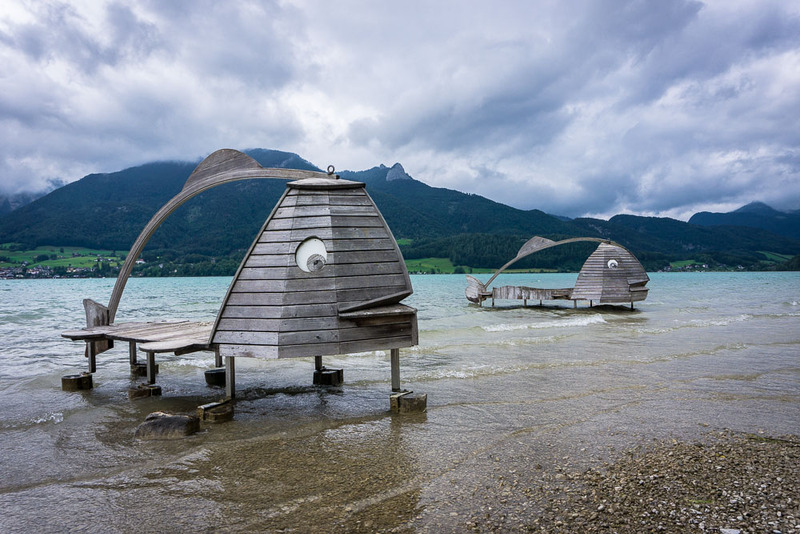 We walked through long-grass paths, appreciated spectacular views of the mountains, and enjoyed these quirky whale-shaped diving platforms. The rain was not too far behind us, the black clouds coming over the mountains contributing to my growing sense of melancholy, and we only just managed to get back to the car before the rain lashed down again. Everybody knows Lake Bled by now, so this lake really needs no introduction. 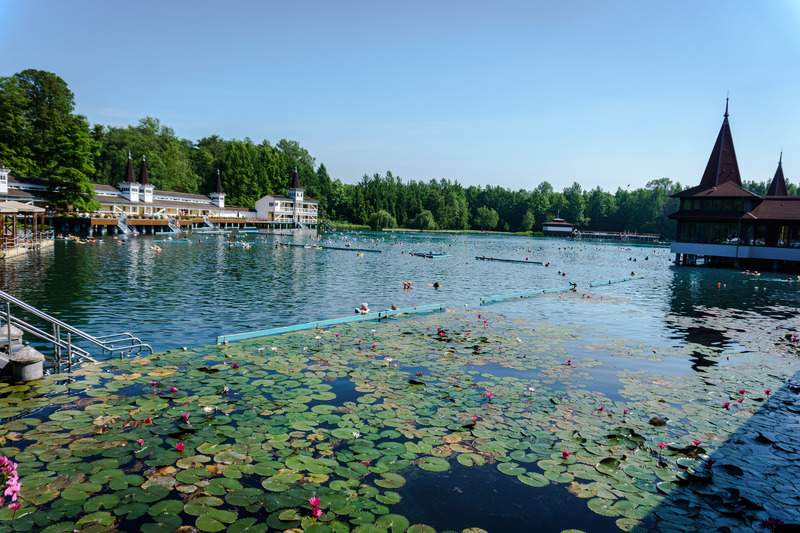 After experiencing terrible weather last time I visited, I was thrilled to see Bled at its best this time around: the sun was shining, and the water was full of happy swimmers. We walked around the lake, stopping at the camping end to watch a Swedish athletic team bounding off a trampoline into the water. 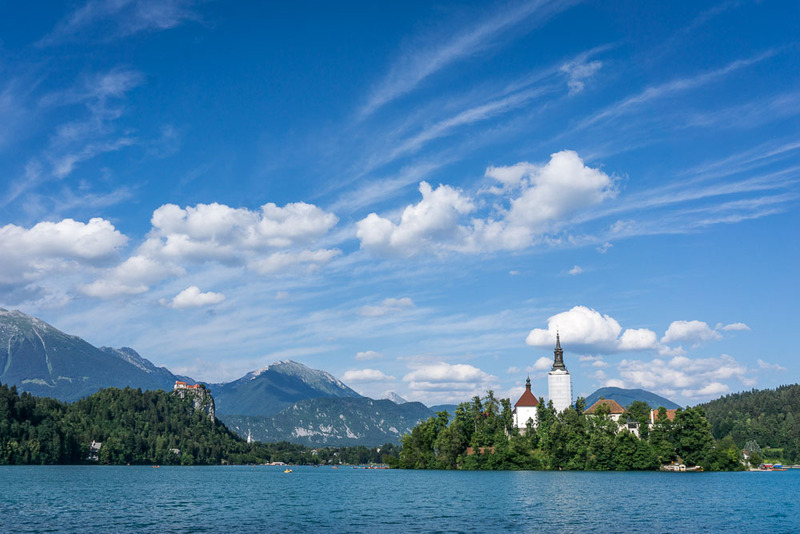 Bled’s popularity has led to it becoming somewhat of a backpacker destination, and it seems pretty popular with the 18-30 tour groups too. If you’re looking for a good time, then Bled is probably your place. I was quite shocked by how much prices had increased since my last visit (2013). Bled seems somewhat of a circus compared to its more quiet neighbour, Lake Bohinj. To reach Bohinj, you have to drive a little further into the mountains. The drive is absolutely spectacular – we saw some gorgeous views as we drove through. 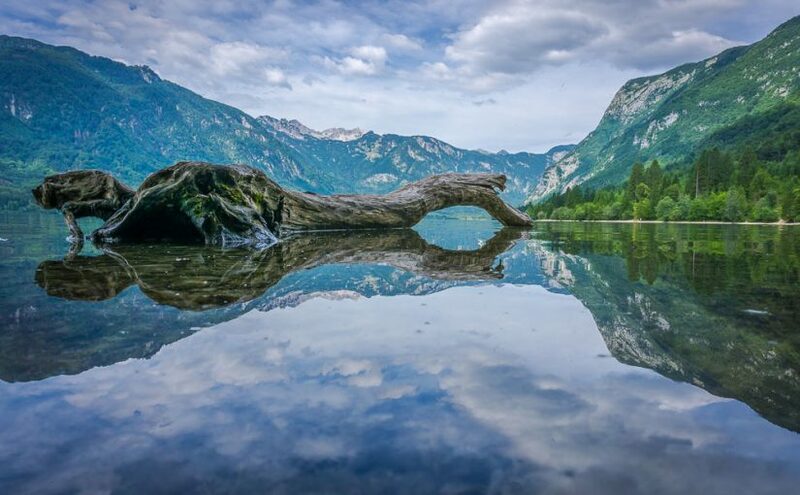 Bohinj is not quite so perfect looking as Bled, but in my opinion, it is far more beautiful. The mountains provide a stunning backdrop, and the water is calmer without so many boats whizzing across the surface. After a long drive from Slovenia to Hungary, it was nice to catch the last of the day’s sun disappearing into the second lake of the day, Lake Balaton. Balaton is very different to the lakes we had seen in Austria and Slovenia – it is much, much bigger, and instead of seeing mountains on the other side; you can only see the distant horizon. 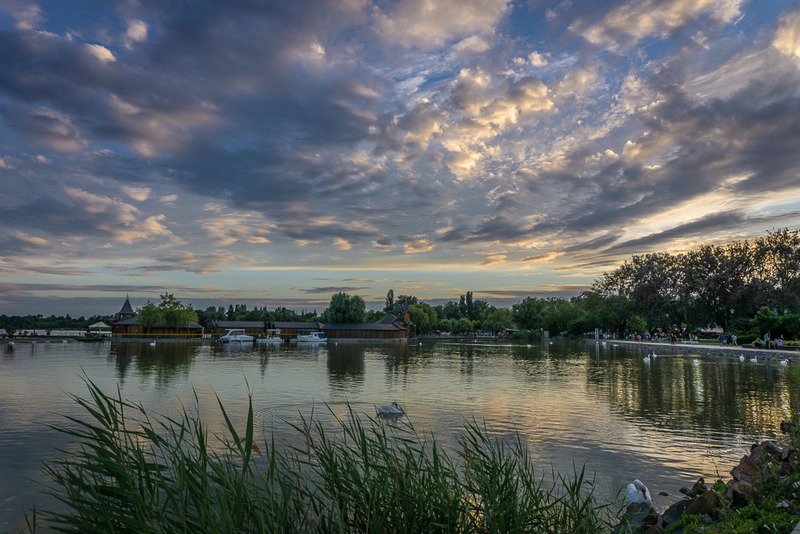 Swans swam serenely across the surface of the water, and the lake had a peaceful air. We had planned to swim in Balaton on our final day, but my friend decided we should visit Heviz instead as it is much more unusual – it is the world’s second largest thermal lake and the biggest one that it is safe to swim in. I have written about Lake Heviz before, you can read the post here. It costs about €8 for a 3-hour pass. We floated around in 32°c water, coating ourselves in thick, black, sticky mud. Apparently, it’s excellent for your skin, although it felt pretty gross squelching between our toes. After Heviz, we drove back to Bratislava stopping at Györ for lunch, but as there was no lake there, I’ll save that for another post. Which of Europe’s many lakes is your favourite? Tell me about it in the comments below! What a wonderful destination you visit. I really like these type place to visit and you captured stunning pics in your travel trip. Thank you so much for sharing this post. I would love to visit these places. The lakes are beautiful in Europe and I would like to see more of them. I have only been to Lake Como in Italy and Lake Lugano in Switzerland. From your photos I’m going to add these ones to the list to see! You should! They are all lovely. I had no idea Bratislava had these great lakes. The entry fee is super low, too! 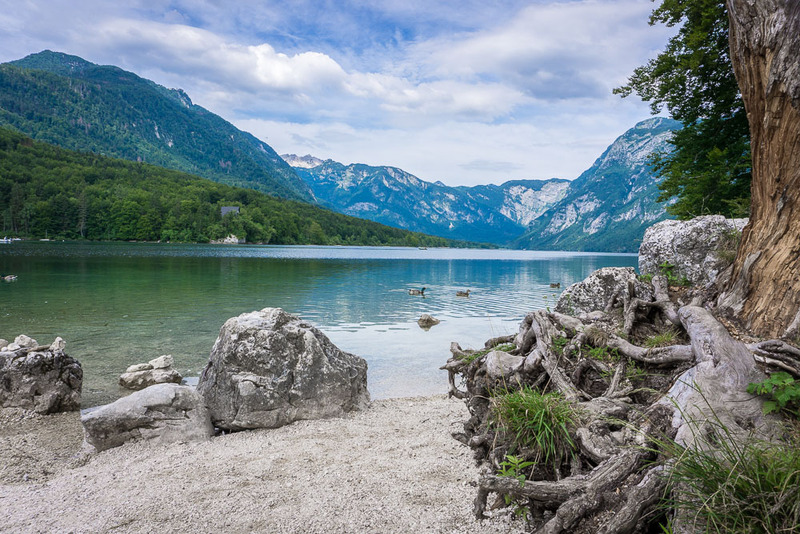 And I agree, I totally think Lake Bohinj looks absolutly stunning. I really loved Lake Bohinj, it was so beautiful. What an amazing idea for making an itinerary! I love lakes <3 We went to Klopeinersee in Austria this summer, and I always love going to Neusiedler See too – just in case you're ever back! I love Neusiedler See – it’s only 40 minutes away from Bratislava, so I go there often. I haven’t been to Klopeinersee though. I went there many years ago on a school trip. I remember it being very beautiful. There’s always a reason to come back to Europe! Thank you. Hungary is so underrated, I think. I love it there.